While the number of single-family homes and condos on the market in San Francisco typically ticks down at this time of the year, new listings have outpaced sales for the second week in a row, there are now more homes actively listed for sale in the city (940) than at any time since late 2011, and inventory levels are now running 59 percent higher on a year-over-year basis versus 5 percent lower at the same time last year. At a more granular level, the number single-family homes currently listed for sale in San Francisco (298) is 41 percent higher versus the same time last year while the number of listed condos (508), which doesn’t include the vast majority of new construction units on the market, is now up by 71 percent. With 340 of those active listings being for properties priced at under a million dollars, 35 percent of which are single-family homes, there are the most sub-million-dollar homes listed for sale in San Francisco at any time since 2013. And in terms of reductions, the share of active listings for which the asking price has been reduced at least once (17 percent) remains 2 points higher, year-over-year, which translates into nearly twice as many reduced listings in the absolute. Also, Unemployment is around 3.3%, mortgage rates are within 30 basis points of generational lows, and Bay Area home prices are at all time highs. Bit of a conundrum. Not really. There’s been an upward funnel of wealth through intentional public policy over the last several decades – a situation particularly acute in San Francisco. At a certain point, there’s only so many uber-wealty households to sell luxury homes to. So have we reached that inflection point? How does that story play at LinkedIn HQ this morning? M&A uptick and these kind of big acquisition deals are entirely expected at the tail end of a business cycle. As startup growth stalls out and new markets mature, existing large companies that are too big (and too mature) to realistically compete in the markets that newer, smaller companies are able, start casting about for companies in those spaces to acquire. LinkedIn is already public, so the IPO Millionaires have already been made. The deal is certainly a price premium over current share price, but that’s fairly typical for the acquisition of a publicly traded company. And its still significantly less per share than what LinkedIn was trading a mere 6 months or so ago. So I’m not exactly sure what your point is. With an acquisition price of $196 per share, it likely depend on when you joined the company, the share price for which was trading around $135 per share last week but closer to $270 per share at the beginning of last year, having first hit $250 per share back in 2013. Not really a conundrum that a market top would be near all time highs of certain factors. Housing prices hit all time highs at the last top. And I think that while getting bought out by and old line tech giant is better than not getting bought out if your prospects are sketchy as a stand alone company, this type of acquisition does indicate a a topping out. Even with the generous 50% acquisition premium, the price is still less that what it was for most of the last two years. And I would guess that the prospect of post acquisition growth are slim. I wonder if over time LinkedIn sees some of its workforce moved to the Northwest. Cheaper to do business there and a good quality of life for workers. And Moody’s just put Microsoft on the downgrade list after the acquisition. Less then two years after Microsoft bought Nokia, they had written down the entire purchase price and laid off nearly all the employees. Has MSFT done anything beyond their cloud and the surface tablet? I see MSFT as a cash rich behemoth that is short on innovation which can withstand taking billion dollar write-downs. Good for the companies being acquired by it because it will overpay. But, not so great for MSFT. Worth buying the stock if it falls to its 52 week low. It’s dividend is currently yielding 2.87%. Who cares if they have a good cloud/tablet strategy? They have a boatload of money. If they pay less then the market price of a few years ago and fail to achieve growth, then that’s just having local tech companies go down hill as part of a behemoth rather than go down hill as a public company. Going down hill from an all time high is essentially the definition of a top. Agreed w/ soccermom as to big companies buying up local tech companies to keep the money flow in SF. My family has bought MSFT over the years during its numerous up and down cycles and have not lost any money. We always bought low and then sold higher, but the last decade, the stock is more like a bond, than a tech stock. MS has bought bay area companies before. Most either had their tech migrate to Redmond or didn’t survive. They bought Yammer a few years ago, just in time to be eclipsed by Slack. There are some deep integration issues as LI has been building out data centers and releasing open source java, kafka, etc — they are’t exactly a windows azure shop. Ahhh, the wonders of low interest rates. I’m sure the actual purchase price will get leaked at some point, but since Bed Bath & Beyond only has $600M cash on hand, It’s a safe bet that the purchase price being “not material” rules out a unicorn exit! Remember, HousingWonk is a guy who says that to improve housing affordability, it is literally better to build 3 to 7 story buildings, rather than a 20 or 30 story building on a given site. It’s a bizarre unproven theory, of course. Why? Because he/she generally does not believe that supply lowers prices – in *any* circumstances. I.e., even though there are enough distortions such that marginal increases in supply here have not improved prices, Wonk seems to think that no amount of additional supply can improve affordability. Hence, the bizarre fixation on 3 to 7 story wood frame buildings. Trouble is, Frank: he’s mostly right. 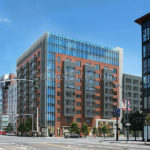 Try proving to us that building tons of new buildings, short or tall will make San Francisco “affordable”. It wont. It certainly will make it denser, and to be clear controlled, responsible density can be good, in selected locations. But more buildings will simply feed the well off population who wants to move here, who has a good job and income AND who can afford it. 3 to 7 story buildings work well in many neighborhoods; likewise sometimes a high rise ALSO can work well, along dense established transit routes, as an example. MOST San Franciscans do not want our city turned into the “Shanghai of the West Coast”. I agree with Frank. “Mediocre, mid-level wood units; less density.” Why not just aim for crappy places, to deter resourceful people from living here? In summary, instead of acknowledging the laws of supply and demand, you just want inferior quality. No, because wood frame buildings do not necessarily imply “poor quality”. My house is now 111 years old, wood framed and still quite livable. So then to satisfy you, or Frank, let’s call them concrete or steel framed 3-7 story buildings for purposes of this discussion. They still would serve well a huge amount of demand, and would fit into most neighborhoods. Most of London and Paris are of that scale and they are quite livable. Futurist, no, you and he are wrong. You are essentially saying, because X (supply, and a very slightly smaller increase) didn’t work in Y circumstance, X can NEVER work. Just silly. And, Futurist is once again exposing his faux NIMBYism in the guise of esthetic preferences and pseudo urban planning ideals. It’s a load of BS. And nobody, not even me, wants Shanghai. But of course, there should be ample 20 and 30 story buildings on the eastern waterfront and SOMA. I don’t believe it will work the way you think it will. Additionally I don’t believe we will ever see an “ample” supply of 20-30 story buildings on the waterfront or SOMA. Most San Franciscans don’t want that. We want responsible, appropriately scaled growth in our city, BECAUSE we love the character, the scale, the livability that our city uniquely exhibits. It IS special and should remain special, while growing carefully and slowly over the decades. It will never be “cheap” again, never really “affordable”, never really for everyone. And that’s reality and a good thing. And we will never be Shanghai, like Frank proposes. Never. That’s because you don’t understand how market segmentation works and the “filtering” of housing supply is not a smooth curve. This has been well established by economists. Which is why if you build lots of high rise units, which are quite expensive to build per SF compared to mid-rise wood frame, and which serves a market at the extreme upper end, you do not see it result in price moderation for the lower- and middle parts of the market. And you don’t see the “become more affordable as it ages” process with high-rise construction- as a housing product TYPE – that you can see with low- and mid-rise. Finally, you can “create a market” where one didn’t exist before by building a LOT of high-rise construction in a relatively small area and change the qualitative characteristics of that local market to the degree it results in housing becoming more expensive with the more high rises you build (see Vancouver, BC). There’s nothing wrong with building lower quality buildings by the way (lower in quality compared to the premium product multifamily developers are focusing on almost exclusively in the current business cycle – which in and of itself is a fairly recent phenomenon in multifamily, which first started in Texas – Dallas if I recall). I’d love to see more simple, cookie-cutter, Type V, apartment buildings being built – the more generic the better. The wood they used 100 years ago was virgin old growth fir and redwood, of FAR higher quality, water / rot / termite resistance, and in many cases (due to full-dimension lumber) as much as 50% stronger joist for joist and stud for stud, compared to modern lumber. All the old siding was 7/8″ thick tight grain rot resistant fir or redwood, that’s why it’s still on the houses, even poorly maintained buildings with leaking roofs and bad gutters. 95% of wood frames built on the last 20 years are sheathed in OSB — relying on this material for structural strength and stiffness. OSB is glorified particle board, works fine until the moment it gets wet. Shortly thereafter it expands and falls to pieces. Huge difference between pre-war (WWI) and post 1980’s wood frame buildings. 3-7 stories are cost efficient in SF? Maybe 10-20 years ago. And that’s probably how we ended up with soma full of 3-7 story buidlings. The lands are quite a bit more expensive last I checked. Any case, the cost isn’t really is the issue. The price the market is willing to bear is. Since the demand far outstrips the supply, and therefore the price is high, we should build taller. Builders certainly are willing despite the bmr taxation, and I’m sure they know their cost. The SF real estate market is softening. I just sold but advised my realtor not to contact me until there are distressed sales. I am taking a breather and seeing what other deals I can find globally. In SF, some good valued properties are changing hands. Many over priced, under-designed ones are sitting. The Brexit fears are contributing to the global stock markets until its resolution one way or another in late June. Made two all cash offers in SF, both exactly 10% below asking in the hopes of making a deal. Both times the sellers (developers) took the houses off the market because things were so soft. We have given up trying to get someone in the city to make a deal and we are moving south and getting a pool and an acre — makes more sense while the SF market sorts it self out. oh yeah… the market is going to take a little pause or dip according to most savvy folks: Market’s fear gauge hits highest level in 3 months. In my opinion, it’s a bit early to expect much success from lowballing. There many indications of weakness and a market turning from growth to flatness. But even that isn’t a sure thing at this point. And I’d expect any transition from flatness to down would take at least a year or two. If the stock market does indeed take another leg down similar to Aug 2015 or Jan 2016, and if that falls right in the middle of this huge listing inventory, I would expect some real price reductions at that point. We definitely saw that sort of dip last October. VIX is in beast mode today. I spoke to a Palo Alto realtor recently who said that above 3m, things are definitely softening. Maybe Jason is making a smart move, i.e. his top-top tier dollar right now goes significantly farther down south than in SF. Makes sense to me. SF true believers could be the last to reduce. Even though many people have an avowed confidence that the market SHOULD go down, many sellers are indeed under no obligation to lower their prices. Charles Barkley is quite confident that jump shooting teams don’t win NBA championships. Though if the houses were pulled off the market, it means that no buyers out there were willing to meet the sellers hoped for price. And if the sellers are developers it does mean that they most likely have holding costs. And if expectations change down from a rocketing up market to a flat market, that also changes the equation. Holding off while the market rises is one thing, but paying off your loans for months only to come back and find the market no better than before is another. Reason #17 why applying Econ 1 textbook supply & demand models to housing doesn’t work. First off, read what Leary wrote. But in general different markets operate at different speeds. Where it might take an optimized high frequency trading algorithm 400ms to detect and adapt to a turn in the stock market, a homeowner might take 400 days to reach the same conclusion for the housing market. My expectation is that the housing market will still move slowly. But Sabbie could be right as well and the market could start moving faster than before. It seems possible that the increase in financial interconnections combined with a faster news cycle and more readily available market data such as Case Shiller and estimates such as Zillow and Redfin provide will speed up the rate at which the market can move. supply and demand *never* works? Seems like an absurd blanket statement to me. So if a magical fairy built 50,000 houses overnight, prices wouldn’t go down? Deal with reality, not fairy tales please. No one ever claimed that prices would go down. Of course, they would if you built 100K new units, but we all know that’s a pipe dream. But the fact that prices are observably affected by an increase in supply and moderation of demand demonstrates that supply and demand governs our market. Frank has said or implied that very assumption many times here. He is misinformed. Futurist: what part of the following do you not understand? SF has a supply shortage. SF has added supply. SF has NOT adde enough supply to ameliorate the shortage. NiMBYs say that because the insufficient added supply has not reduced prices, therefore NO additional supply can reduce prices. What of the above is so difficult for you to understand? Why are you so rigid and dumb? Understand that there’s a narrative at work here. Facts and numbers are irrelevant. It’s the narrative that matters. When has “obligation” ever had anything to do with it? People seek new opportunities, better deals elsewhere, and new living arrangements that fit life changes. And when that happens, sitting on that existing home and waiting for that magic moment becomes more and more difficult. Eventually some will settle for what they can get. Most homeowners have borrowed money to purchase their houses. Borrowed money is typically paid for by through jobs. Wages let you pay the mortgage. Paying the mortgage lets you keep your house. If you lose your job and the economy is strong, you can get another job. If you lose your job and the economy is weak, you might not be able to pay your mortgage and thus be under an obligation to sell (or be foreclosed, etc.). Right now, there isn’t a great deal of evidence of ‘forced selling.’ In 2008/9 there was plenty. And prices flattened off in what? 2006? I get the possibility that things might happen slightly faster this time, but looking for forced selling at this point is jumping the gun. The key point isn’t that sellers pulled off market rather than take a 10% hit, it’s that there were no buyers willing to meet the ask. It doesn’t have to be “forced”. A lot of it, especially in SF with lots of single people, is just driven by sentiment and strategy. In late 2009 I sold my place, not because of my work situation, but because I saw the market was tanking and I wanted to pull out what profit I still could. I probably lost about 10% from the peak but still made out pretty good. I rented for two years and bought back in early 2011. The roots of a certain stripe of NIMBYism are on display in the comments of two self-styled San Francisco and urban housing “experts” on this thread – they literally deny that additional supply does not make a difference. No matter how much supply is added, it’s irrelevent. This is the battle that must be fought. I’m not overly optimistic. You shouldn’t be optimistic because it’s not a battle you’re going to win. We don’t want you to overrun this special city with high rises ad nauseum, just to satisfy, as the Eagles sing so well in The Last Resort, our “endless needs”. For government subsidized public housing, much of it in very drab tall towers. Is that the solution for San Francisco? Is that all that Frank has to fall back on? Special city – thank you. Monaco is also special. See my point about supply above. You are an ignoramus. SF has added supply, just not enough to affect the market, thanks to people like you.. Therefore, you think that added supply cannot help. Complete nonsense. Rigid, self absorbed, self-interested thinking. Or, just complete disingenuousness. That of plastering our fair city with endless buildings, many high rise in nature, simply to satisfy your obsession with HELPING ANYONE who wishes to live here make it affordable to them. Without regard for quality of life, character and livability of San Francisco. Why do you desire that? Can you not afford it yourself? Some of us like tall buildings and the removal of parking lots/underdeveloped crappy 1-2 story buildings/etc. So…more building directly increases the quality of life, character, and livability of SF. I want to see SOMA like density between the waterfront and 3rd ST (SOMA itself exists, so I guess you hate it?) along the Eastern waterfront, I want BART stations to have mini cities (look at VA metro stops in DC as an example, maybe with better architecture) I never want anything “plastered” anywere, except plaster in pre-war apartments. You’re right, I can’t afford it. We only make 230k, and we can’t afford a 3/2 in SF, but we want schools. We rent on the peninsula. I want the entire region to be semi-affordable. I don’t expect it to ever be cheap, just maybe like it was in oh, 2010. With some additonal workforce housing for teachers, etc, on top of that. So, yeah, one has to add some supply. In the long run (which doesn’t matter) I’m confident what I say will happen. Problem is, we need it sooner. Trouble is, Frank you change your tune a lot. You have subtly always had a disdain for such neighborhoods as Noe, Glen Park, Sunset, etc. BECAUSE they are predominately single family homes. And those types of housing just seems to infuriate you and others here as not being valid and viable to a big city. Glen Park bart, I don’t believe, will ever have mini-cities and towers surrounding the bart station. The small scale of the neighborhood is well established and supported. Mid rise 3-7 floors, yes. Fact is, as an architect I very much support density, including high rises and mid-rises. I support fully the large towers going up in the Van Ness/Market hub, along Van Ness Ave, Rincon Hill and Transbay location. And I fully support all of the medium density large housing projects we are seeing completed now along Folsom, Harrison and Brannan. All good, and all appropriate scale. As for the other cities, suburban and Oakland included, they need to figure out their housing needs their way and integrate (in their way) into the urban structure of the bay. As for you not “affording” SF, well that’s your business, but I find it hard to believe. You may not WANT to live in the southern neighborhoods of SF, but many homes there are probably within your income data. Everybody wants to live in the already “hot” neighborhoods, and when they can’t they whine about “affordability”. And yet you want to go back to say, 2010 with housing prices. A bit nostalgic, don’t you think. Seattle has added lots of supply and its prices have not gone up to the extent that ours have. True. But what metro area has seen prices go up as much as the Bay Area? Seattle has been more affordable than the Bay Area all along. He’s talking percentage-wise. Seattle has built enough to keep prices from skyrocketing at the same rates as the Bay Area. SF has built more housing than Seattle per sqmile over the past decade. I’ve posted the data a couple of times already on SS. In the short term (5-10 years), job and wage growth or decline is a much bigger factor in the cost of housing than how much construction we have. Seattle does have a strong economy, but SF and SV have been through a boom the past few years. Housing costs in SF drop when we have a recession, lose jobs, incomes decline, vacancies go up, prices go down. Been that way for many decades and through many boom and bust cycles. RE construction is the tail, the tech economy is the big dog. This study has been cited in the press recently. Without knowing the goodness of fit, the data is nearly meaningless. Interested parties can download the source data from github. The article includes a number of charts showing model vs. observed data. It’s a great resource imo. yes, I am grateful for their work. A graphic is not a goodness of fit measure. Quoting good work out-of-context diminishes the work. A purely anecdotal tidbit: my housemate is looking for a career counsellor who can help him figure out how to transition out of his current job and move to Seattle. One he spoke with recently said “it seems like all my clients right now are young people who want to leave San Francisco.” Whether or not this will eventually mean anything in the big picture remains to be seen, but I found it interesting. Its all anecdotal of course. My cycling buddy moved to Seattle over a year ago. He is in tech but could not afford a home here. He just bought his first home (townhouse) in Seattle and many young people he meets there are transplants from the Bay Area. Several techies who rent rooms in my neighborhood are trying to find jobs in the NW. My buddy is making the same salary as when he worked here. But the gain is a lower cost of living, no state income tax and, of course, the chance to buy a home of one’s own. It’s not just techies. For more “traditional” professions it’s even worse. I’ve run out of fingers to count the number of friends who have moved to Seattle, Portland, Austin, and even the Midwest. All middle to upper middle class professionals who just couldn’t take it anymore. The fact that people are spending such a huge percentage of their income on housing is a disaster for the consumer economy as well. So many empty store fronts in the city, how can that be if the economy is “booming”? Well…part of the reason for empty storefronts is the very reality of the SF economy: pushing every aspect of our lives “on line”. I would bet you make most of your major purchases on the web now? While bemoaning empty storefronts? The SF tech base parasitizes its own quality of life. 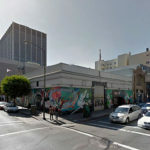 All the empty storefronts in certain areas such as along King, along parts of Mission, at the base of some of the SOMA condo towers and such are, to a significant degree, a reflection of the shift away from brick and mortar stores. JC Penny is on the edge, Wal Mart is cutting back. And on and on. A big issue here, IMO, is the need to re-purpose some of the de riguer ground floor retail in new developments. Why doesn’t LinkedIn relocate to Detroit? Super low cost of living there. My friend moved to Seattle to run AWS. He moved back in less than a year. Good point. There’s obviously only two choices for tech companies. San Francisco and Detroit. It is a wonder why companies such as Microsoft and Amazon don’t set up shop in an area like Seattle.